Legendary Mexican singer Luis Miguel appears in the latest promotional advertisement for beach resort spot Acapulco. The ad is part of a campaign that looks to improve Acapulco's public image after years of intense drug related violence in the city. The governor of Acapulco, Angel Aguirre, announced the campaign at the beginning of the month. 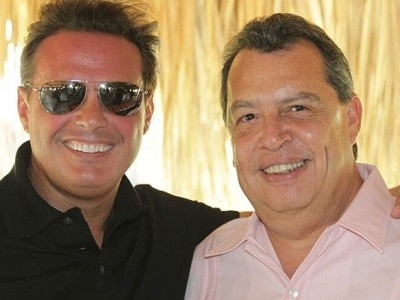 Aguirre stated that Luis Miguel would become the new face for the beach town, which is looking to boost its local tourism industry for the upcoming end-of-the-year vacation season. Luis Miguel has had a longstanding association with Acapulco. The singer, who is commonly referred to as "El Sol" (The Sun), still maintains a beachfront property in the city and spends a good amount of the year in the location. Although Acapulco has been subjected to drug related crime in the last few years, it remains the favorite spot for Mexicans due to its nearness to Mexico City and its relatively cheap accommodations. The city has become less of an international travel destination among outside visitors, however, due to an aging infrastructure and more modern competing resorts areas like Cancun and other beaches alongside Baja California. During the 50s and 60s, Acapulco was the preferred hot spot for Hollywood stars. Stars like Elizabeth Taylor, Dean Martin, Frank Sinatra and others regularly visited the city and enjoyed the year-round sunny weather. The Kennedys chose the resort as the location for their honeymoon trip. In the video, Luis Miguel talks about the beauty of the state of Guerrero, while images of different natural settings in Acapulco are seen. "There are memories inside me that will never leave me. They're with me on stage and they're with me when the lights go out. These images are here to stay. Not me, I come and go, but I always come back. I come back to Acapulco. I am Acapulco, I am Guerrero and this is our Mexico," the singer says during the video. The campaign is seen as part of a recent string of efforts to boost the city's image and improve general conditions. Mexican billionaire Carlos Slim, who reportedly holds a "special affection" for the town, is conducting the renewal effort. He has invested millions of pesos in renovations for the city and is reportedly committed to a long term improvement project for Acapulco.